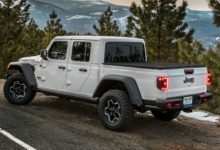 Here are some helpful charts showing how the specs, exterior and interior dimensions of the Jeep Gladiator compare to that of its competition – the Ranger, Ridgeline, Tacoma, Colorado and Frontier. 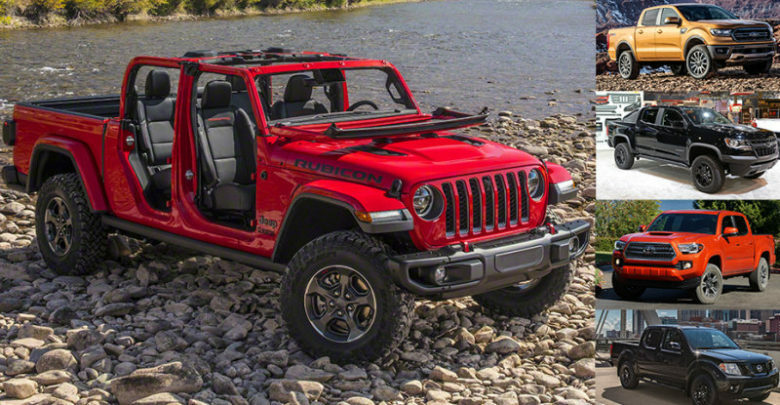 In terms of interior space, the Gladiator features the most front and rear headroom (with soft top) and the most rear legroom. 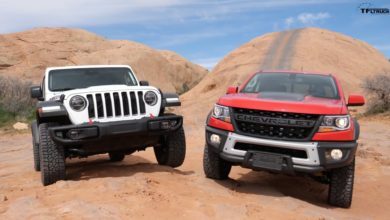 It’s also the longest and tallest truck on the list, as well featuring the best towing capacity.